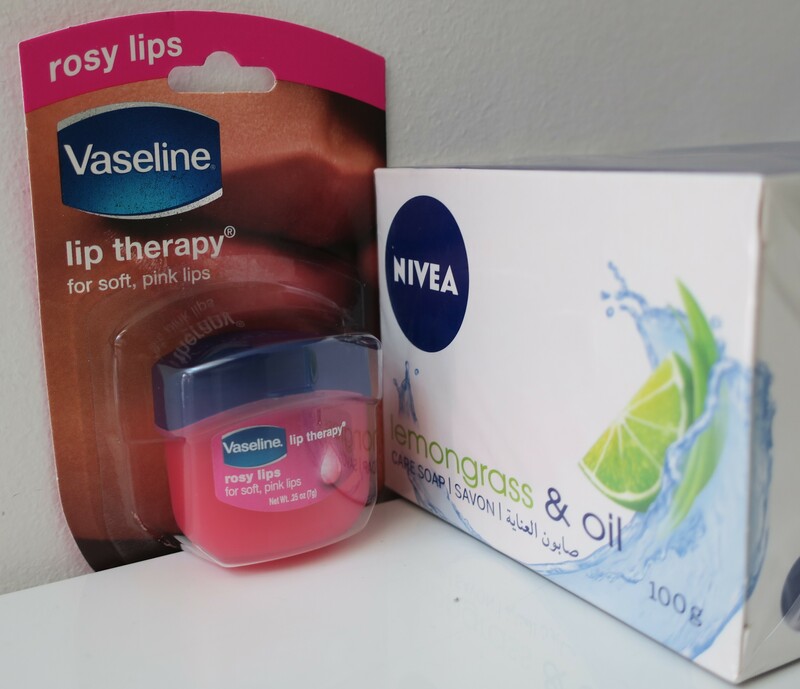 In the past few years, Vaseline and Nivea have really impressed me with their offerings! The two products shown aren’t new, by any means, but they’ve pretty much become my favorites! They do their job (perform well) while smelling crazy good and looking stupid cute! What’s not to love? I thought I’d died and gone to Heaven when I first found these on drugstore.com years and years ago. I ended up purchasing so many for my friends and family as well as for myself. Everyone got a kick out of how tiny and adorable they were! I used to buy them in the tiny .25oz (7g) tubs as shown, except back then, only the clear one was available for purchase. It was quite a while before Vaseline came out with the tinted and scented one called Rosy Lips. 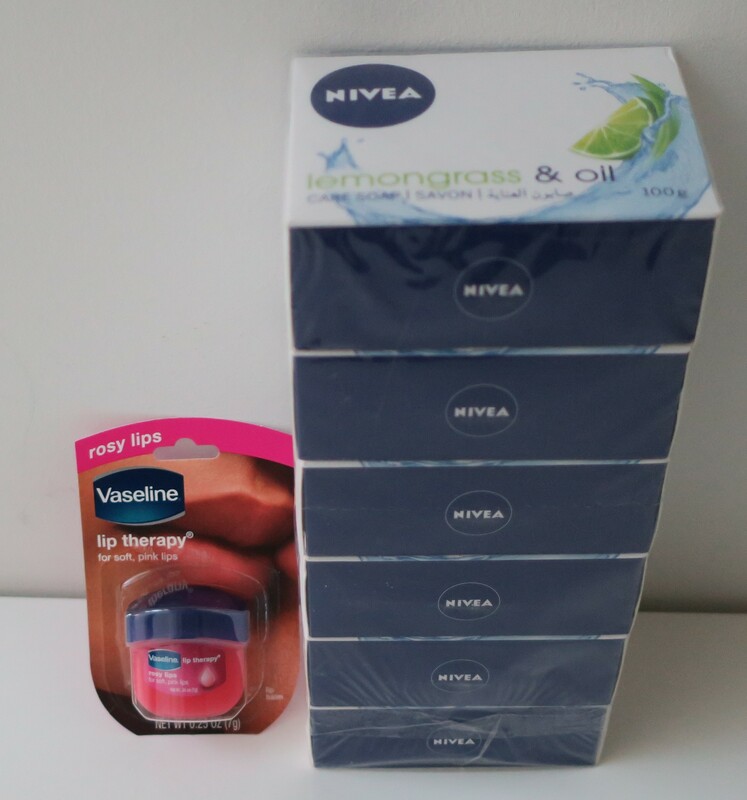 Eventually, Rosy Lips made it to drugstore.com as well, where I dutifully hoarded them for my friends, my family and myself. I figured once I’d run out of the stuff, that was it, and I’d never see them again (since drugstore.com shut down and all). So, imagine my delight when I came across this li’l cutie chilling all innocuously on the shelf at Sultan Center. Of course I had to get one for old time’s sake! Truth be told, I’m of two minds with Vaseline Rosy Lips. On one hand, you gotta’ apply this stuff with your finger which is straight up unsanitary. On the other hand, because this stuff is in a teeny tiny tub, it looks stupid cute! I mean, if it came in a squeeze-y tube (super common), it would be way less cute. Also, this stuff tints your lips a nice pink-y shade. Plus, it smells gorgeous! Ever since I first fell in love with this stuff (haulage here) it’s pretty much become a staple at my home (second haulage here). I mean, I’ve repurchased this stuff in bulk, countless times already, but don’t always feel the need to snap a pic for the blog… also, because I usually tear into the cellophane wrapping immediately so I can take one out and start using it right away. Plus, my family members always grab one or two for themselves. The pack shown contains 6 pieces, but I would prefer it if the packs came with more, like 20 pieces per pack. Honestly, it’s the scent that does it for me. So good! See? It's not necessary to always pay and arm and a leg for decent products, that actually do what they claim to do, smell great while doing it, and look fun too! Wow Nicculent that’s so sweet of you ♥ Thank you!